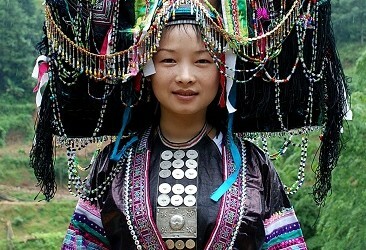 A population of over 400,000 with more than five different costume styles called Shui is mainly located in southern Guizhou Province and northern Guangxi Province. Further information about the Dong ethnic minority group. There are over 30 different types of Dong costumes. Each of them has their own special headress.